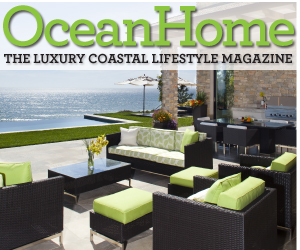 Everything Coastal....: Walk the Line...Decorating with Summer Stripes! 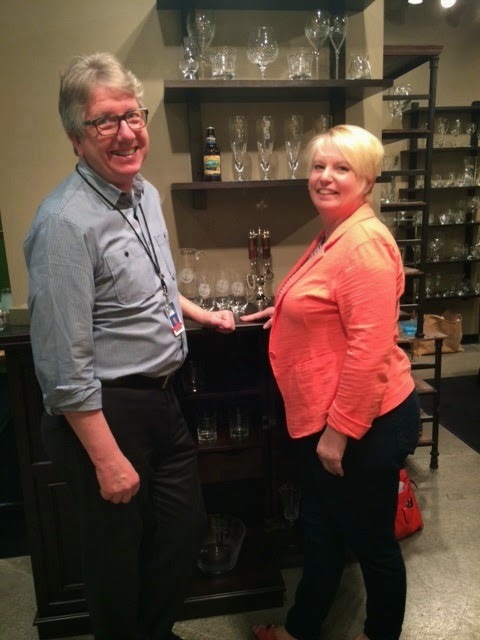 We thought this was such a cool idea from Country Living Magazine! Lindsey Ellis Beatty (stylist extraordinaire!) 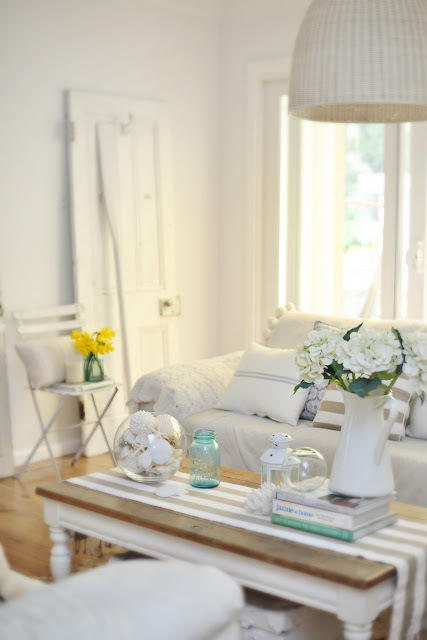 created three rooms; each new room look created was based on an idea from a country song. Our Preppy Orange Striped Rug was featured in the "Walk The Line" (a true classic!) by Johnny Cash room. We could not agree more! 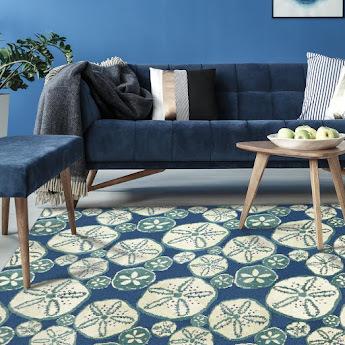 To decorate effectively with stripes, and to not overwhelm your room, choose a color palette that coordinates and then go wild with your imagination. Remember - decorating is FUN, and it's all about you and what makes you happy. Try pulling pillows and accessories from other rooms in your home to mix together to create a look that is updated and fresh. I think you might be surprised at how easily you can pull a "summer stripe" look together! 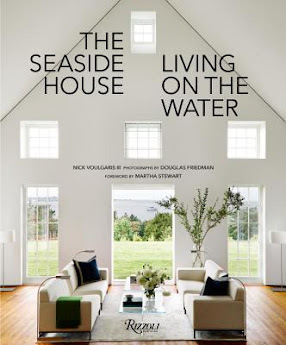 Stripes have always symbolized to me a beside the sea lifestyle, and we DO NOT have a shortage of enchanting rooms and style ideas to share. 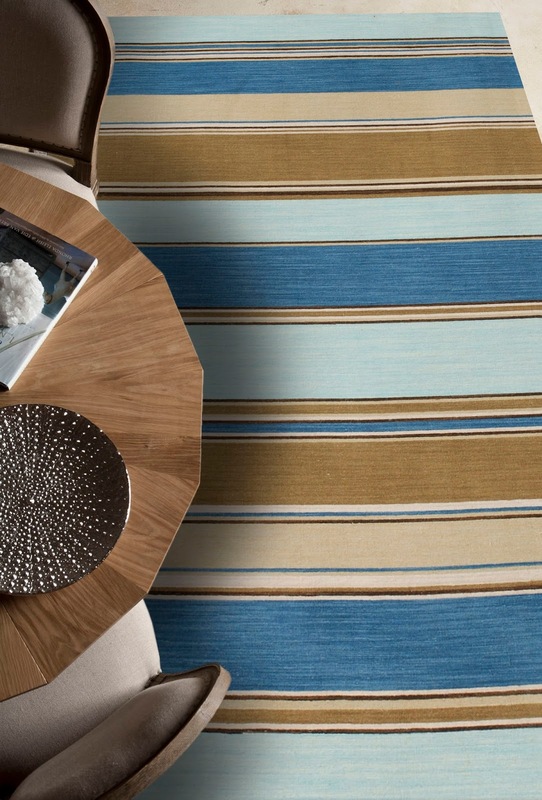 We'd love to help in creating your next fun beach house space using stripes. Here are a few of my favorites! 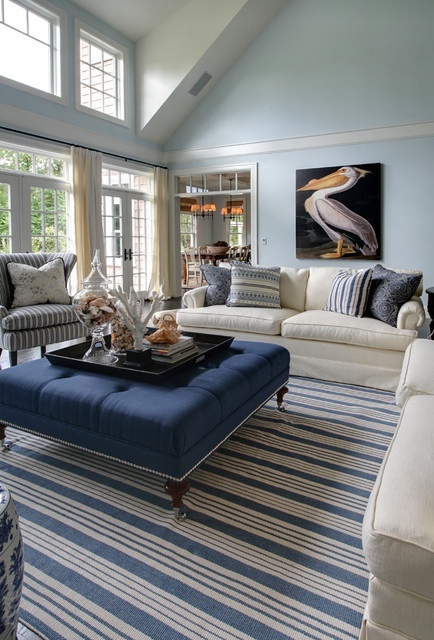 Blue Stripes from Garrison Hullinger Interior Design Inc. Always a classic beach house look, but note that the blue stripes coordinate, but they don't have to be too "matchy-matchy". Makes a room a whole lot more interesting! Patriotic Stripes with a Dash of Nautical are always a popular idea for summer! From Savvy Southern Style - lots of bright red, white and blue vintage stripes all combine to create a summer styled room. 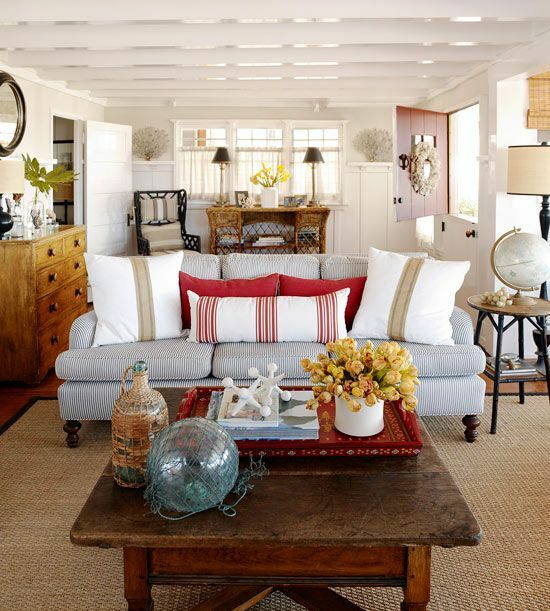 Note the stripes on the pillows, the furniture, the accessory bowls and on that adorable ottoman! 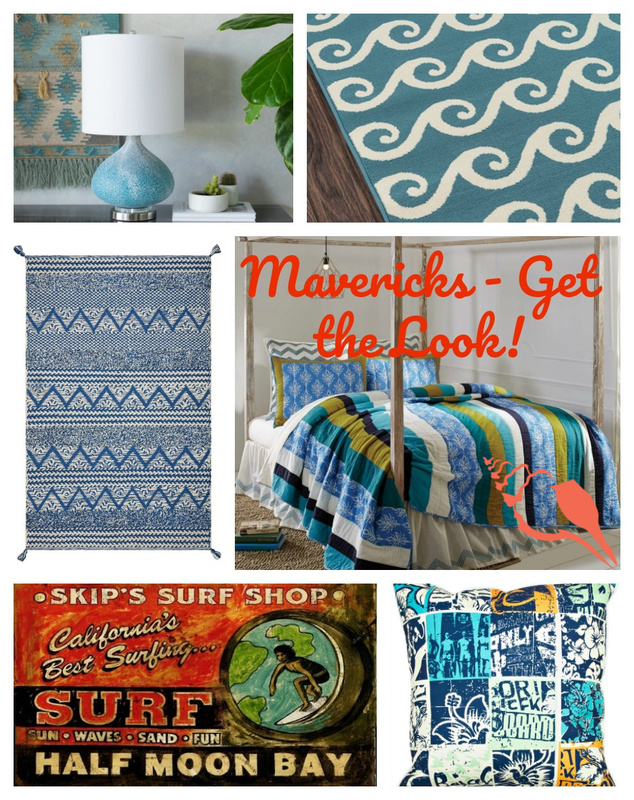 Totally beachy, warm and colorful without using blue - great ideas! 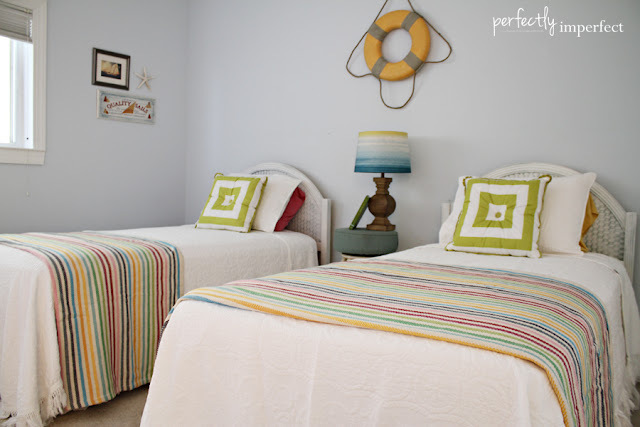 Check out this beach bedroom decorating project from Perfectly Imperfect! 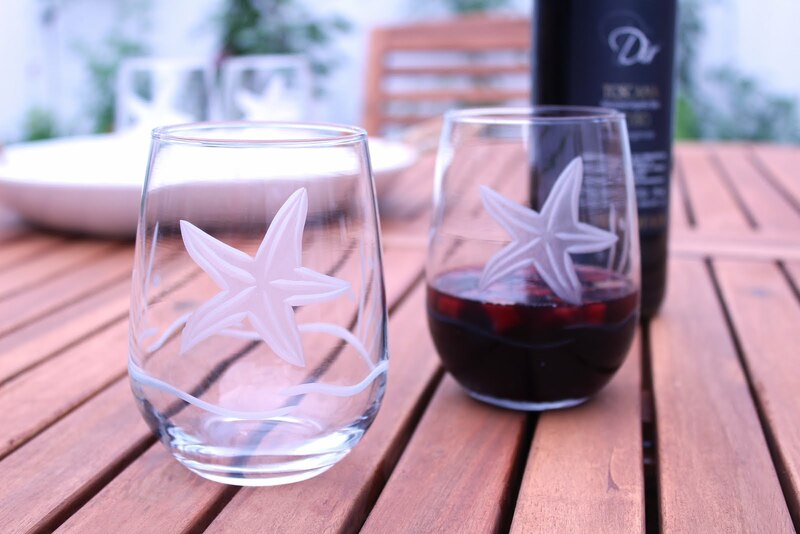 See how easy this "beach stripe" decorating can be? 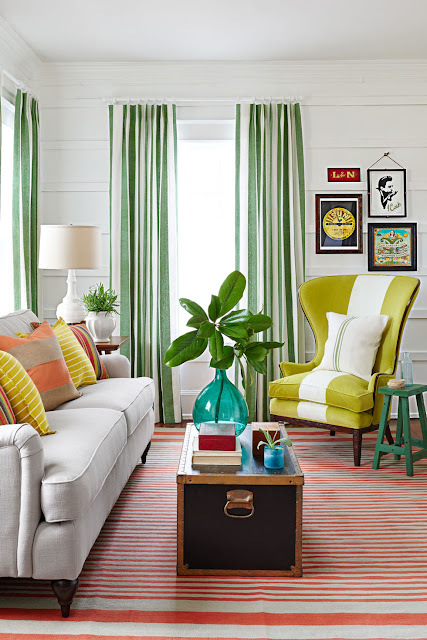 Notice the soft lime green stripe in the throws, those fun squared pillows and then the coordinating lamp - pulls the whole room together without being overly striped. 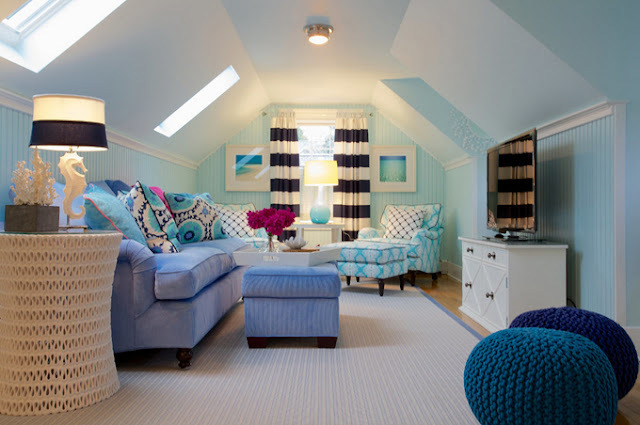 Coordinate different shades of blue and aqua, like this fun room found at House of Turquoise. Note that the stripes are all different too, but they still go together. 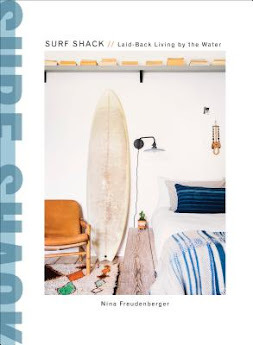 Have to admit that I really like the idea of the vertical striped drapes.. and am more than a little partial to the Jonathan Adler Seahorse lamp! Now it's your turn. Try our Pinterest Board; Stripes and More Stripes for even more inspiration! P.S. 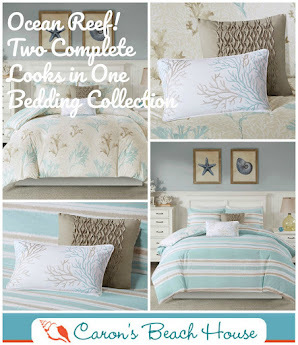 Don't forget to also check out our new Coastal Inspiration category at Caron's Beach House - Stripes! 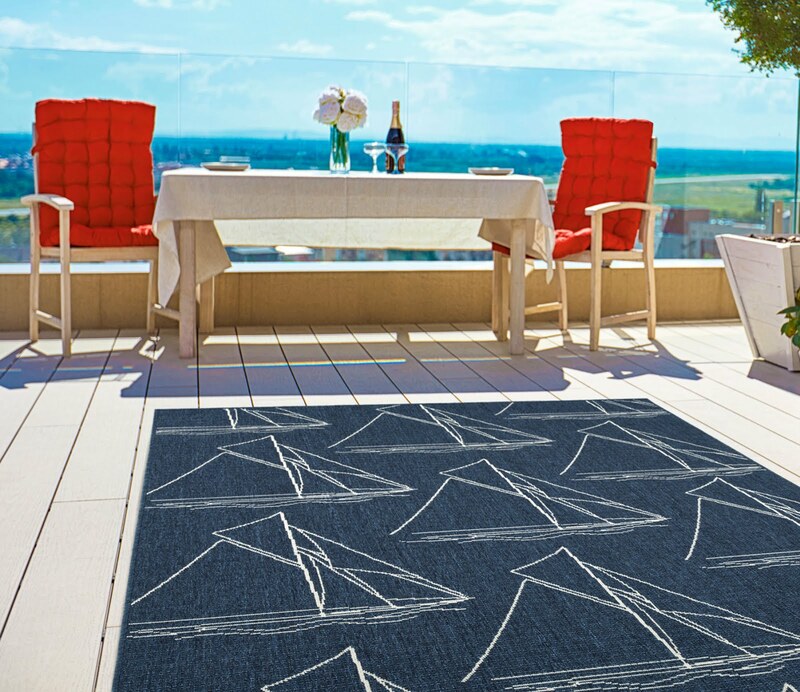 Captiva Striped Rug - One of our faves!